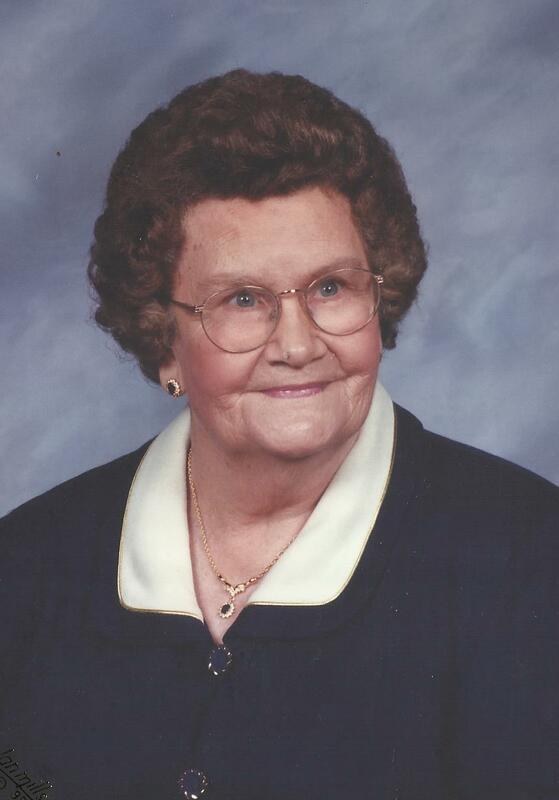 Eva Mae Benton Wilmoth, 91, of Drakes Branch, VA, passed away on July 4, 2017. She was born on November 11, 1925, in Mecklenburg County, to the late William and Bertha Benton. She was predeceased by her husband, William H. Wilmoth, son, Woodrow Wilmoth, and grandson, Phillip Wilmoth. She is survived by her daughters, Patricia Cook (Bruce) of Madison Heights, Barbara Newcomb (Mike) of Drakes Branch; daughter-in-law, Rachel Wilmoth of Chase City; granddaughter, Tammy Webber (Phil); grandson, Joshua Newcomb (Alyssa); three great-grandchildren, Dillion Webber, Camren and Annalee Newcomb; one brother, Frank Benton of Boise, Idaho. Eva was a member of the Drakes Branch Baptist Church where she was a Sunday School Teacher for 60 years. She was a loving and devoted wife, mother, and grandmother. A funeral service will be held at 11 a.m., Saturday, July 8, 2017, at the Browning-Duffer Funeral Home in Keysville, with interment to follow in Public Fork Christian Church Cemetery. The family will receive friends at the funeral home one hour prior to the funeral service. The Browning-Duffer Funeral Home in Keysville, VA is in charge of the arrangements. I so loved Eva. She always made the best come out in me. I will miss seeing her smiling face, but so glad she is at peace. She was a wonderful Christian person. My thoughts and prayers are with you doing this time of letting go. Sincere condolences to this lovely family. May God Bless you all in the time of need. Aunt Eva Wilmouth will be deeply missed, but never forgotten. Turn to Jesus for your strength.